With a resume as long as Santa’s List, Ron Robertson has been the embodiment in every type of media from print to film. In advertisements for Best Buy, Pet Smart, Rosetta Stone, and the Travel Channel to guest spots in series such as “Castle,” “The Mentalist” and “The Tonight Show”, Ron’s natural, gentle manner and jovial smile are perfect for the camera and on screen. But there is a deeper side of Ron, a man who holds such high regard for the role of Santa Claus and the traditions linked to him that he is willing to share and to educate his fellow Santas. Ron is Director and President Emeritus of the International Brotherhood of Real Bearded Santas. 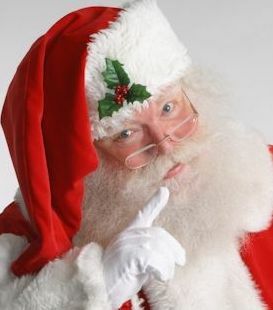 In that capacity he has stood not only for excellence in the portrayal of Santa Claus among that body of Kringles, but for excellence throughout the entire Santa Claus community. An advocate for the traditions of Santa Claus, Ron is willing to share his love and attention to the character with all who wear the red suit.